Pro Bowl or No Bowl? To the novice football fan, this marks the weekend before Super Bowl LI. However, for the real football junkies, this is Pro Bowl weekend. 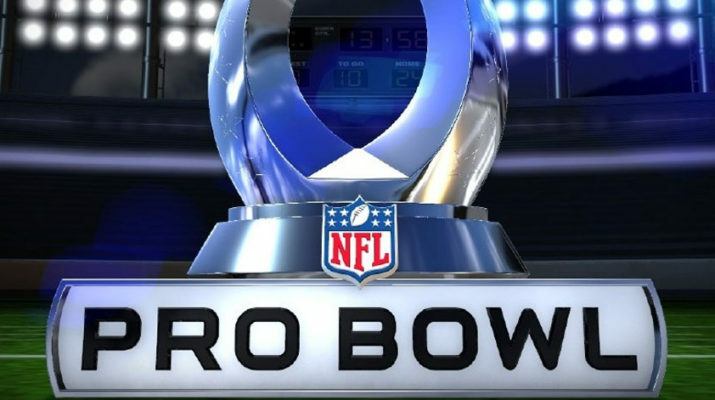 I consider myself a football junkie so I will grin and bear through watching another Pro Bowl game that has little enthusiasm and even less meaning. The question I always had was why. Why have this game if its meaningless? Why have this game when the guys playing can careless to be there? The worst kept secret in the NFL is that most players only hope to be chosen to the Pro Bowl to get a family vacation to Hawaii with their family. The game was just for fun and not getting injured was the biggest concern. This same line of questioning has had the NFL executives thinking maybe they should just not have the Pro Bowl anymore. They began taking the first steps by moving it from the perennial playing spot of Hawaii to now choosing alternate places every year. This year it is being held in Orlando. Yes, Orlando, the same place that any of these athletes can any given day with their families if they wanted to. So, now you have bunch of guys that don’t want to play in a game, being held in a city they don’t want to be in. This got me thinking. How does the NFL make the Pro Bowl entertaining? Major league baseball tried making their all-star game important by hanging home field advantage to the World Series in the balance. Apparently, that didn’t work because they scrapped that idea a short time later. So, what does the NFL do? My idea is this. For those of you old enough to have lived through the 90s as at least a teenager, I’m going to bring you down memory lane for a minute. If you’re reading this and were born after 2000 you may have to do a little research. Let’s take a page out of MTV’s idea in the late 90s and have the NFL Rock and Jock Pro Bowl Game. How much fun would it be to see NFL players and your favorite non-sports star playing football. I miss the days of Nelly running down the sideline on the opening kickoff with his jersey on backwards and upside down visor. This was when Tara Reid was hot, Nicole Richie was sort of relevant and Paulie Shore was a household name. Ok we could do without that last memory. 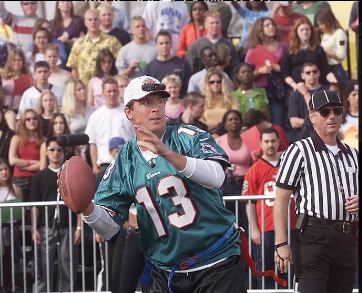 A game where Dan Marino was the official quarterback for both teams and he wore the “Dan Cam” (Go Pro before there was such a thing). This was entertainment way before its time. I’m not sure the new generation of young adults would be interested in watching this but, long story short, the NFL must come up with something innovative to make this game of touch football they call the Pro Bowl interesting. If nothing else, at least put the “Dan Cam” on a bunch of players and let’s see a little XFL type POV. Who wouldn’t want to know what it looks like from Ezekiel Elliot’s vantage, running down the field at 18MPH and truck sticking Aquib Talib. I know I would.